At Seema Eye Care Centre, we are proud to offer a very extensive and thorough approach to eye health screening, analysis, and treatment, while utilizing some of the most advanced systems in the world of ophthalmology. 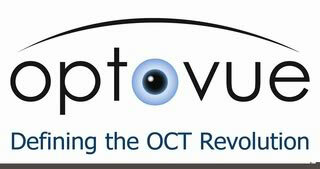 Our Avanti OCT system from Optovue is one of the most precise OCT systems in the industry. 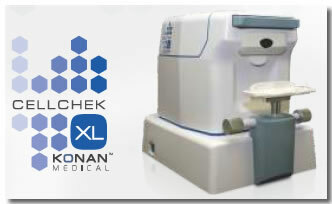 It screens the eye at the micron level, allowing for proper screening and diagnosis of various eye disorders. 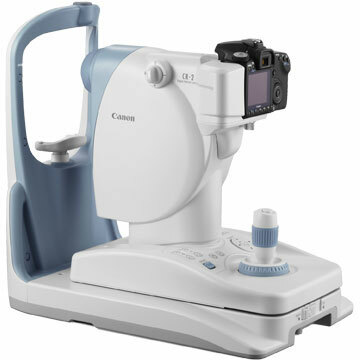 The CR2 Fundus photography system from Canon takes a microscopic image of the back of the eye, to give a view of the macula, retina and retinal vasculature, optic disc, and the fundus. Our Specular Microscopy system (or “Spec Mic”) from Konan, a leading company in endothelial analysis, provides an image of the corneal endothelium, the inner layer of the cornea made up of tiny cells. These cells can be visualized, counted, and analyzed for shape and size to aid in determining the health of the endothelium and the overall cornea. 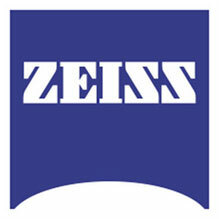 Our Visual Field Analyzer from Zeiss Medical Technology is used to measure a patient’s peripheral vision and to test for or monitor the progression of various eye pathologies. The Lens Star 900 Optical Biometer from the leading Haag-Streit Diagnostics provides measurements of the entire eye, which are performed on every cataract patient to aid in prediction and selection of the proper intraocular lens (IOL) before cataract surgery. Our corneal tomographer from Oculus is one of the most advanced corneal diagnostic systems available in medicine. It is used for screening patients for keratoconus and ectasia, as well as assessing regular or irregular astigmatism. The iTrace from Tracey Technologies is one of the most advanced aberrometry systems in the industry. It measures a patient’s refractive error and entire visual pathway in very small and precise increments, allowing us to measure ocular abnormalities. At Seema Eye Care Centre, our doctors utilize quality slit-lamps from companies such as Haag-Streit, Zeiss, and Topcon. Following all testing performed with the technologies mentioned above, your doctor will use a slit-lamp to thoroughly examine your eyes. Seema is proud to have several slit lamps from Topcon capable of taking photographic images of exactly what your ophthalmologist sees when examining your eyes through the slit-lamp. This helps to monitor various conditions, and to compare progress or changes over time, helping the patient better understand their treatment plan and progress.